Rebecca was right. 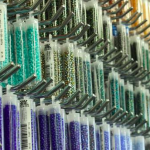 Something did work for her and Design & Adorn, a craft store focused on everything Kumihimo, in Tucson, Arizona. 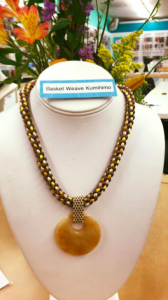 Since her rough 2008 start, Combs has written books on Kumihimo (traditional Japanese braiding). 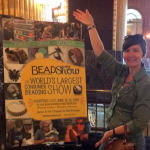 She’s taught it on national shows and she was on Jewelry TV this past summer. Organization, community, and location have been her keys to running a successful craft store. While she is a fan of PayGo’s reporting, Rebecca Combs is an even bigger fan of its calendar feature. On Saturdays at Design and Adorn three 2-hour classes are held with 1-hour breaks between them. The 1-hour breaks are organized chaos according to Combs. Those attending the next class are arriving as those who were at the previous are shopping around, and customers not in a class are stopping in as well. 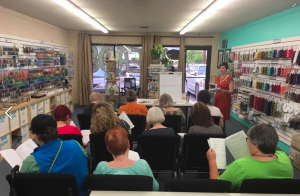 Rebecca Combs teaching a class at Design & Adorn. Design & Adorn offers rewards to its community of customers. PayGo makes it easy for them to keep track of who has earned what and which credits are used up. There is no additional charge to access and use PayGo’s loyalty/rewards tracking tools. “We moved across town,” said Combs, who shared that moving to a better location has been a big part of Design & Adorn’s success. “Now we have a location that’s very central. I love it!” Design & Adorn is now located at 4630 E. Grant Road in Tucson, AZ. Get a coach. 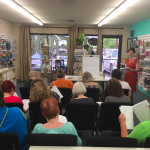 Rebecca Combs uses Retail Mavens. When Design & Adorn opened, she had a wealth of retail sales experience and had been an assistant floor manager. However, she did not have direct experience in the buying side of retail. After struggling with budgeting and forecasting, she hired a business coach who specializes in retail to advise her. You may also be interested in reading PayGo Has Craft Retailer’s Stamp of Approval.